World events lead us to believe that God is getting ready to do something phenomenal and we are thankful that we are able to be a part of it. We are also thankful that you have expressed a desire to be a part of it. We are expecting great things this year and all we have to do is be faithful. We have opportunities to proceed in many areas of the work and all we need is your help. Please consider what you can do to help bring these discoveries to the world. Also, please let us know what you would like to see in this electronic Newsletter. You are important to us. Without your support this work would not be able to go forward. This will be a series over the next 7-8 months. As many that follow the research work are aware, all of the seven sites that ASI focuses on involve stone, even the remains of Noah’s Ark, which seems to be mostly petrified. I don’t believe this to be co-incidental at all, but an ingenious design of heavenly origin. Consider the story in Luke 19, when Jesus was making His way from Bethel to Jerusalem, His triumphal entry. Jesus is riding a donkey; the townsfolk and disciples are shouting and praising God for His wondrous works. There are those who aren’t so thrilled about the excitement though, and petition Jesus to ask the crowd to refrain from the commotion. Jesus responds to the Pharisees, “I tell you that if they should hold their peace, the very stones would cry out.” This is a fascinating and unusual word picture, but I tell you, that is exactly what we are witnessing today! Many don’t quite understand what all the fuss is about concerning the discoveries and don’t realize what God is up to. These sites have been miraculously preserved for our generation, so the Lord can use them as a witness of the validity of His Word. When the church is rich and increased with goods and has need of nothing, and the world is drunk with the cares of this life, God provides ample evidence that supports the authenticity of His Word, and He raises up the stones to echo an amazing message. If indeed the stones are crying out, what are they saying? Each of the next 7 updates will further examine their testimony. But for now, lets identify each particular stone on our list. Each of the sites we deal with has a message that can be summed up in a single word. The story of Noah’s Ark for example, is a story about Mercy, Sodom and Gomorrah, a message of Judgment, the Pyramids of Giza exemplify Perseverance, the Exodus and Rea Sea Crossing shout of Deliverance, the real Mount Sinai speaks of Relationship, the Crucifixion site and the Ark of the Covenant tell of Sacrifice, and Gethsemane and the Garden Tomb declare Victory. So, you get the idea here. This concept is at the very foundation for the existence of the discoveries. They are not just amazing antiquities, but have been preserved and revealed in this generation for a reason. They are not mere curiosities, or some artifact chased after by explorers and adventurers, but are tools to be used to get the attention of the entire world. The discoveries play a vital part in the last warning message to our planet, one that is global in scope and eternal in nature. We believe they will be used to bring the world to a point of decision concerning loyalty to God. Will we stand on the side of truth, as revealed in God’s word or will we fall victim to the traditions of men and philosophy? ALL WILL DECIDE! 1. 9 day tour to Noah’s Ark with an Optional Ararat Climb (additional 4 days). 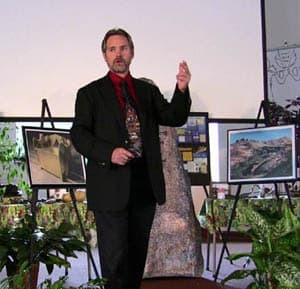 Our 2006 Noah’s Ark Tour looks to be the most informative and exciting ever. Our tour guide will be Zafer Onay and the tour coordinator this year will be Bill James. Bill’s nearly 20 years of study and interest with the Noah’s Ark site will add to an already exciting trip. Be sure to contact us as soon as possible to sign up for this life-changing adventure. 2. We are also planning a trip to Israel in September. If you are interested, please let us know. 3. Jericho dig. In the months ahead we will be giving you some information about a possible archaeological dig in Jericho so be sure to check back with us often. Be sure to get this informative CD. It will whet your appetite to go and see these things for yourself. PRESENTATION BROCHURES – A way to advertise meetings in your local area. They fold up nicely for carrying with you. Remember, we will also list your presentation meetings on the ASI web site, too! PRESENTATION POSTERS – Great to display at meetings, they are a collection of pictures illustrating the 7 major discoveries. They are wonderful conversation-starters and give visitors something to look over before and after a presentation. It has been a tremendous uphill battle getting these kits together, but praise God, they are almost ready. The Enemy works hard to cause delays because he knows the tremendous impact they will have in reaching souls for Jesus Christ. We have shipped out some materials already and we will be able soon to complete all the requests. We are offering them free to those who will make a pledge of $100 monthly to ASI for no less than 12 months. This helps cover the cost (which is substantial, so many costs have increased in the last year) as well as supports our research work in sharing the message. If you want to purchase an individual item, we will have them on the shopping cart in the next few weeks. We hope you are enjoying ASI’s new feature, “A Closer Look.” And that’s just what it is. It is a closer look behind the scenes of these wonderful discoveries. If there is a particular subject that you would like us to write about please let us know. What time of the year did the flood begin based on the Gregorian calendar? Q Who was the greatest financier in the Bible? A Noah. He floated his stock while the rest was in liquidation. Maybe it sounds corny, but I like handmade presents best. Not to say that I don’t like the other, but a handmade gift is a little bit of the gift-giver. My wife would rather I hand write her a card than buy one any day. Do you know that we are handmade gifts? We are gifts to the world, and to each other. God made us, and we know that everything we see was made by Him. Handmade gifts are the best gifts- sharing the heart and soul of the giver. Some time between October 30 and November 1 in 2345BC.